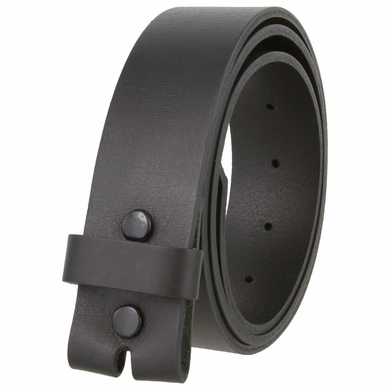 1 1/2" = 38mm Wide soft light weight full grain casual leather belt strap. Size range: 32 34 36 38 40 42 44 46. 7 Holes for easy fit adjustment and comfortability. Snaps to put on and off your choice of buckle. One matching loop. This item does not come with a buckle.